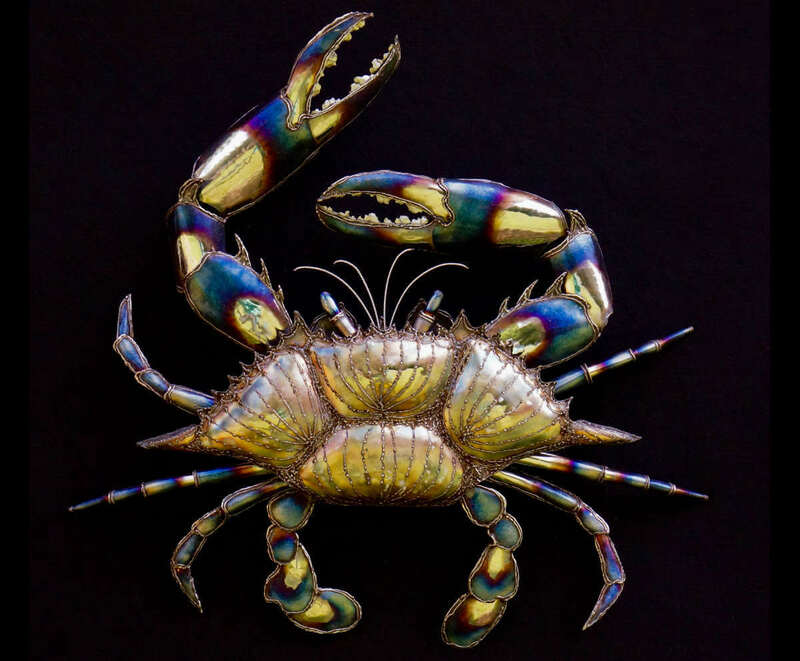 This metal crab sculpture is wall hanging and is handmade entirely out of stainless steel. 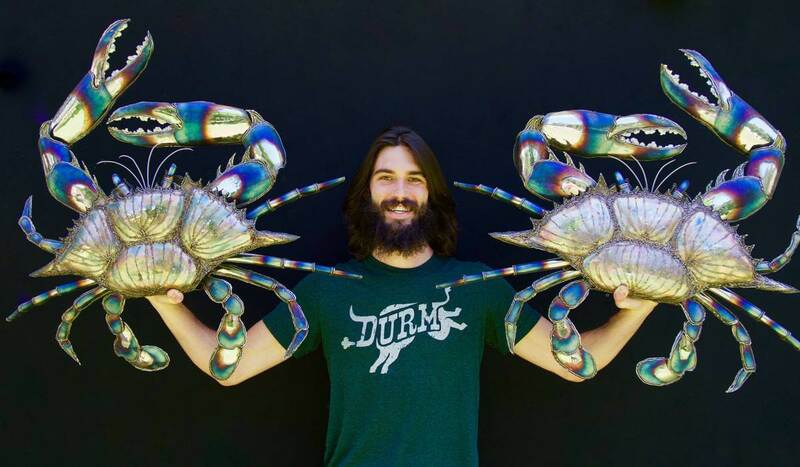 I created two of these crabs as part of a commission for a gate in Hawaii. I was originally asked to make a blue crab but the coloring technique used for that shell fades in the elements so a pivot was in order. I came up with this shell design after many attempts. Once it was complete the blue crab legs and claws didn’t mesh well with the new shell so i had to rework them as well. Tying in the polished lobes of the shell with polished areas on the legs did the trick and the weld detail work around the parameter of each leg segment added the extra pop to create continuity! And a new type of crab was born! This sculpture is completely safe to be kept outdoors!